A new month calls for a new Vegan Tuck Box. Yay!! 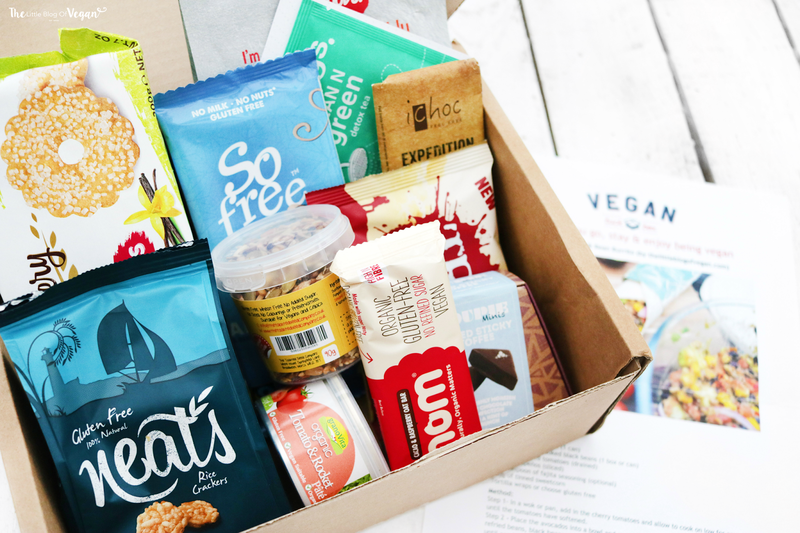 The Vegan Tuck Box is a monthly subscription box which includes a variety of delicious vegan foods & treats from healthy snacks, drinks, chocolate & sweets to savoury food! All sounds so yummy. Read more about Vegan Tuck box & their ethics on my previous blog post's here. The may box includes some brand new products which I am very excited to share with you guys. As you may know, in each box you get a card with a featured recipe, this month's recipe is my delicious Mexican avocado & bean burrito. 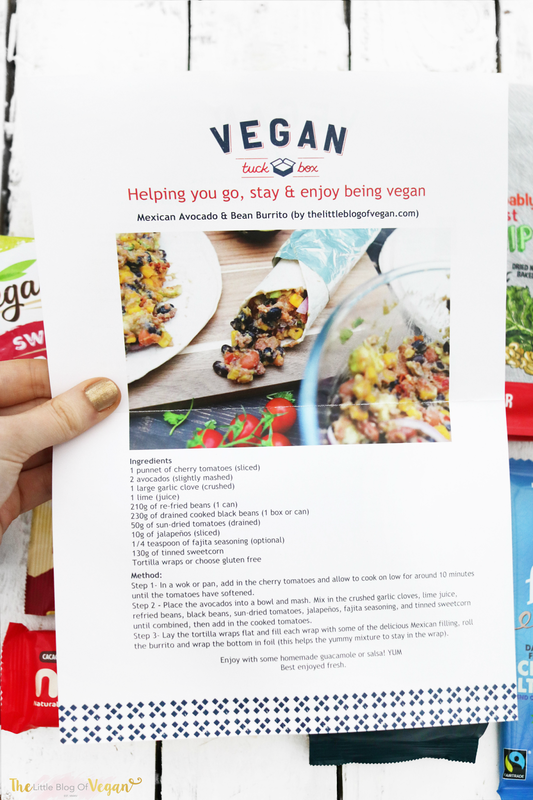 My burrito recipe is very quick & easy to make and is 100% vegan, of course. This burrito is utterly delicious and you can taste every single flavour with each bite. All of the ingredients blend beautifully together to create a lovely lunch or dinner option which is fresh, healthy & filling. If you love Mexican food, especially avocado or re-fried beans...this is a must make! YUM! I am loving the variety of products in this box. Another amazing box, LOVE!!! I have a really exciting discount for you lovely lot. These boxes are amazing for their price as you get to try snacks from all over the world which gets delivered to your door each month! I highly suggest subscribing to Vegan Tuck Box and supporting their amazing company & charities!